In May of this year, the Washington Post published a feature article on Jen Glantz, a 27-year-old self-employed professional bridesmaid who offers her services to brides in need of a wedding planner with emotional support. Glantz is known to carry her trusty "survival bag" for the bride-to-be on the big day. The fanny pack consists of peanut M&Ms, mints, nail glue, Band-Aids, hair spray, perfume, a Square credit card reader (in case the bride needs to pay someone last minute) and a pack of tissues. Your friend's inner Bridezilla can be contained if you're able to whip out any of these small necessities last minute. It's quite common for brides to strive to achieve pure perfection for their wedding, which can often cause insecurities if they feel this is not working out. If your bride is ever showing any signs of insecurity or uncertainty about her appearance, assure her that she is already as beautiful as ever. The article referenced several times Glantz would soothe the stressed out bride by complementing her on her dress, reassuring her that her eyelashes are as perfect as is; and that she won't need a fake pair for her big day. Regardless of how much we love them, sometimes one of the biggest stressors can be family. When a bride was concerned about an issue regarding her mother and decorations for her wedding, Glantz gave excellent advice on how to handle the situation and mentioned that she would take care of the situation if needed. "I love moms - send her to me" Glantz said. One of the main reasons Glantz is hired is because the brides have friends who are unavailable to help with details of the wedding. Though it's understandable that everyone has busy schedules, it would mean the world to the bride if you could spend a lunch date reviewing a smaller task- such as lipstick shades or centerpiece decorations. Though it could seem tedious at the time, the favor can always be returned when it's your big day! 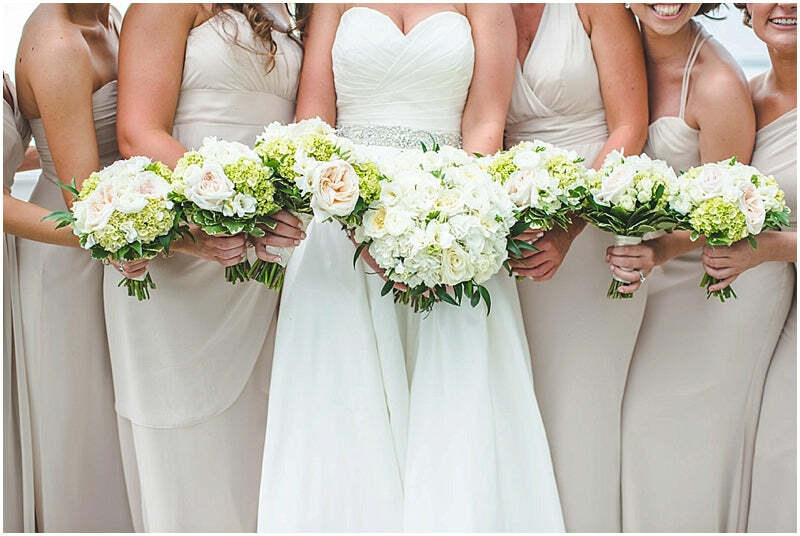 This tip is reserved for specifically outside of the bride's big day and for the long-run. Glantz is a self-made entrepreneur who was able to create this profession on her own and has became incredibly successful after doing so. She is able to balance her professional life and personal life in an outstanding matter and has pursued the job of her dreams by providing help to others, a true tip we should all aim to achieve! We're sure Jen would agree that your guests' experience will be even better if they receive a custom wedding welcome gift upon arrival!